This statistic shows the internet penetration rate in Norway from 1997 to 2016. 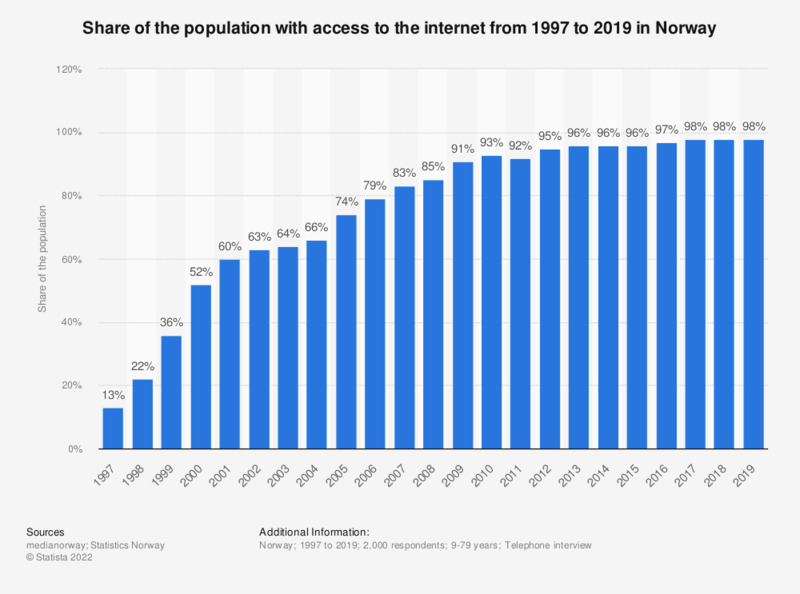 The share of the population having access to the internet in Norway has grown significantly from the beginning of the period. In 2017, the share of the population with access to the internet reached 97 percent, compared with 13 percent as of 1997.